SAN ANGELO, TX — A study of the most dangerous intersections in San Angelo was released this week by Sutliff & Stout, a law firm specializing in personal injury cases. The study relies upon TxDOT’s Crash Records Information System (CRIS) where there were a total of 11,049 crashes in the city of San Angelo between 2013 and 2017. Of those crashes, 6,613 (60%) were intersection related crashes. Crashes often occur at intersections because these are the locations where two or more roads cross each other and activities such as turning left, crossing over, and turning right have the potential for conflicts resulting in crashes. What are the most dangerous intersections in San Angelo? If 60 percent of all of the crashes in San Angelo are in some way related to an intersection, Sutliff & Stout states it is essential that drivers understand which San Angelo intersections are especially prone to crashes. So, they parsed and analyzed tens of thousands of crash records from the Texas Department of Transportation to uncover which San Angelo intersections are the most prone to serious crashes. The 10 intersections below accounted for 715 crashes, 373 injuries, and one death between 2013 and 2017. Use the map below to explore the dangerous intersections throughout San Angelo. Larger circles represent a more dangerous intersection. Click on any circle to see the key crash data for each intersection. The 50 San Angelo intersections identified here accounted for 1,548 total crashes between 2013 and 2017. Those crashes caused 932 injuries and 4 fatalities. Each dangerous intersection from the study averaged 30.96 crashes, 18.64 injuries, and 0.08 fatalities. The most dangerous intersection – the intersection of Highways 67 (Houston Harte) and 87 (Bryant Blvd.) – was home to 165 crashes and 95 injuries over the 5 year span. That’s 64 crashes and 57 injuries more than intersection with the second highest totals of each. Of the four intersections where fatalities occurred, only one ranked in our top 10 most dangerous list. The others ranked 21, 34, and 46 out of 50, respectively. 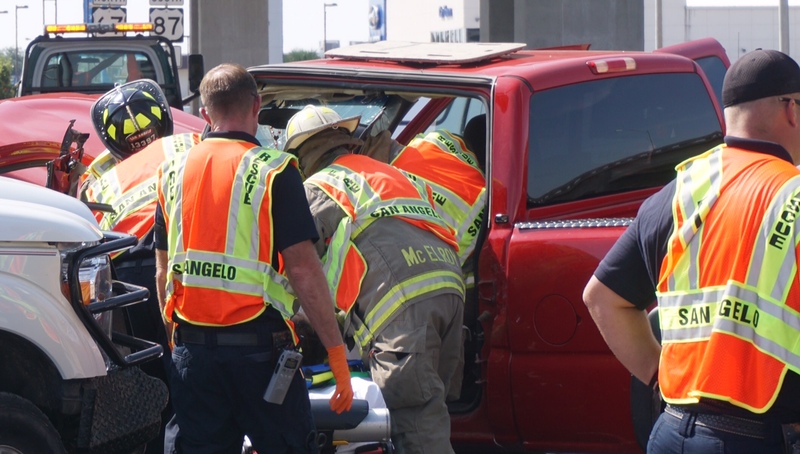 Sutliff & Stout, with offices in San Angelo, parsed over 43,000 San Angelo crash records from 2013 through 2015, separating all accidents marked as intersection related within San Angelo city limits. They then created a formula to rate the danger of the intersection. The collision data used in this study was obtained from TxDOT’s Crash Records Information System (CRIS). Sunset Dr. and Highway 87?! Can you explain where this intersection is? Last I checked, Sunset Dr. only extends between W Houston Harte Expressway (Loop 306/US-67) and Foster Road. The danger is not in the intersection, it is the idiots behind the wheel. Run a red light often enough and you are bound to get slammed, no matter what intersection it is.